After being in development for over 20 years, a new RPG released today on Steam — and gamers are decidedly unimpressed. 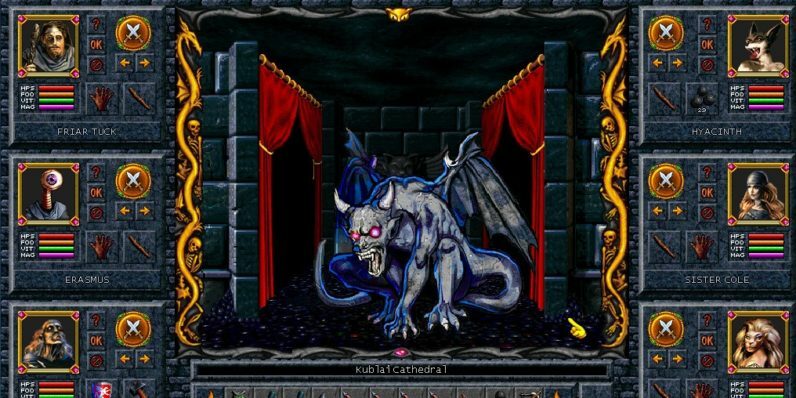 Grimoire: Heralds of the Winged Exemplar — which, by the way, is the most RPG name an RPG game has had since D&D — went live on Steam today after one of the longest development cycles in gaming history. The announcement banner on its Steam page leans into its semi-mythical status by saying, “Itz Coming” and “This is not a drill.” Ironically, the date on that banner is three days off from the actual release date, but what’s a few days’ delay after so long? Let’s take a look at similar runs: Final Fantasy XV was in development for 10 years before it was released last year. Aliens: Colonial Marines? 12 years. Duke Nukem Forever? 15 years. So while it may not stretch the limit of credulity that much — damn. 20 years kinda takes the vaporware cake. COMPLETION NOT SUBJECT TO FUNDING!! THIS GAME WILL SHIP IN MAY 2013 WITH OR WITHOUT ENHANCEMENT!! A PLEDGE HERE WILL BE FULFILLED. THIS CAMPAIGN IS NOT A FUNDING FOR COMPLETION, IT IS A FUNDING FOR ENHANCEMENT!!! COMPLETION IS GUARANTEED HERE! Crashes to desktop when trying to enter character inventory. Seems 20 years was still not enough time to cobble something together worth playing. But Blakemore’s proven he has resolve — hopefully the patches take less time to arrive than the game did.